For decades, the Housing Authority—any Housing Authority—has been thought to provide one thing...public housing assistance. Again, we see this preconception/misconception as perhaps the greatest challenge in redefining and revitalizing the message of who and what HACSB is today. Although the agency’s main mission and function is undeniably “affordable housing” on the surface, it is and does provide—as we have outlined in this strategic brief—much, much more. And it provides these services today in ways its clients, partners and its greater community don’t fully comprehend or appreciate. What people primarily understand is that HACSB provides a roof over the heads of those in need. And so we considered this construct—the roof. The roof is, of course, the uppermost covering of a building or structure. It’s purpose is largely to shield from the elements above—sun, rain, etc. But the surface of the roof is just that part we can see. Beneath its surface, like with HACSB, there is a significant structure of support that holds aloft the outer covering—providing protection for those beneath it. As a new brand name for the agency, we see an exciting analogy here—as the agency also provides protection for anyone who comes beneath its “roof”. That protective cover is both literal in the form of housing, and figurative in the social and community services HACSB also provides. 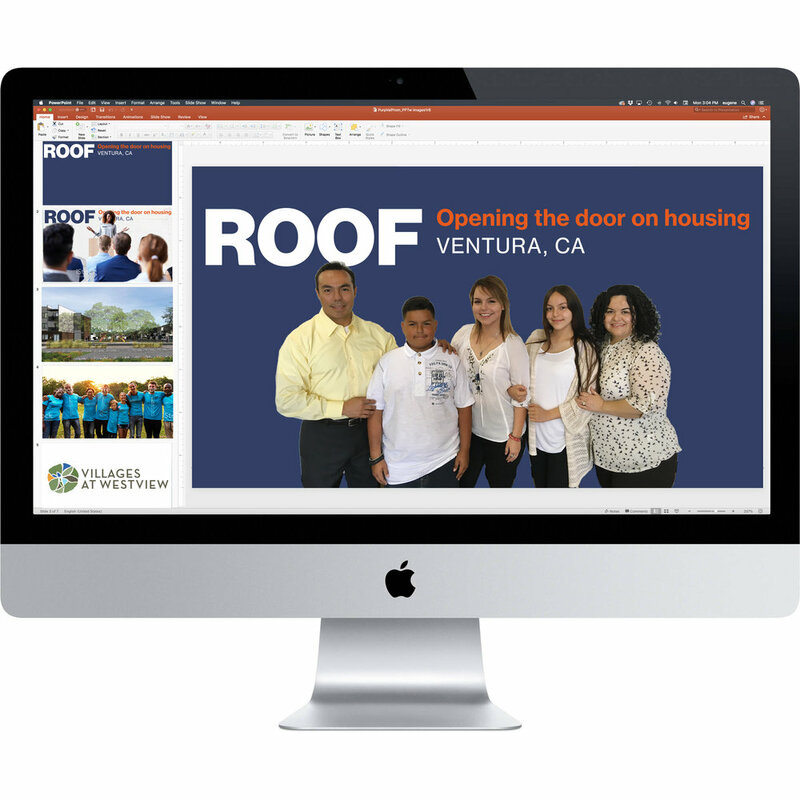 Our roof is expansive, spreading out across many areas of the community. Our roof is inclusive, offering help to families, seniors, individuals and those with special needs—really to anyone in need. Our roof is also progressive—taking on any shape and structure necessary to get the job done. 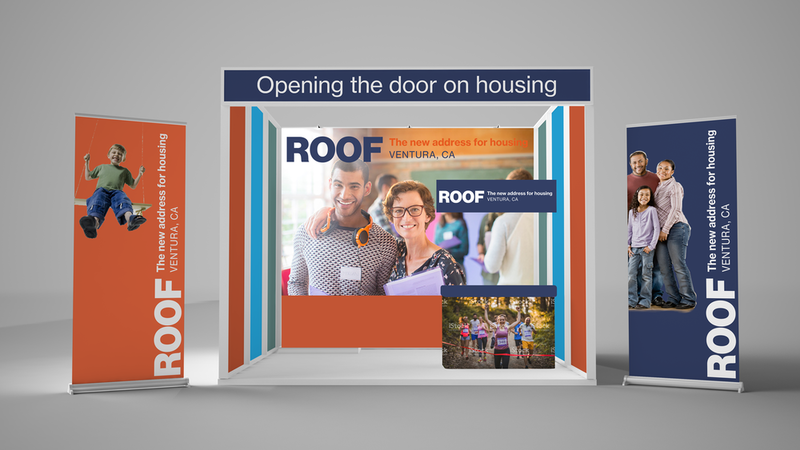 As a brand name, Roof is bold and memorable. It’s four short letters, with the use of the double “O”, is visually interesting and easy to recognize. It is both a noun and a verb—it is what the agency provides and what it does. 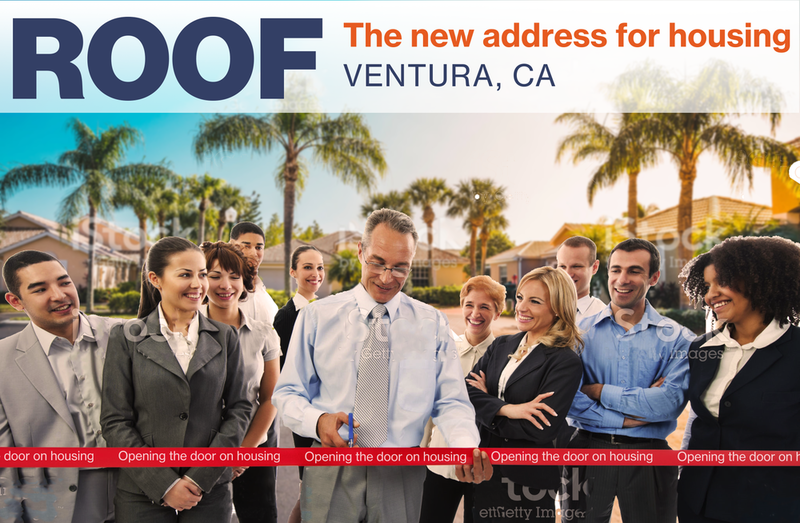 But mostly, we love the potential brand that is ROOF because we find it modern in look, sound and attitude—a straightforward name with complex underlying meanings that immediately feels relevant for the 21st Century world and the city of Ventura today.